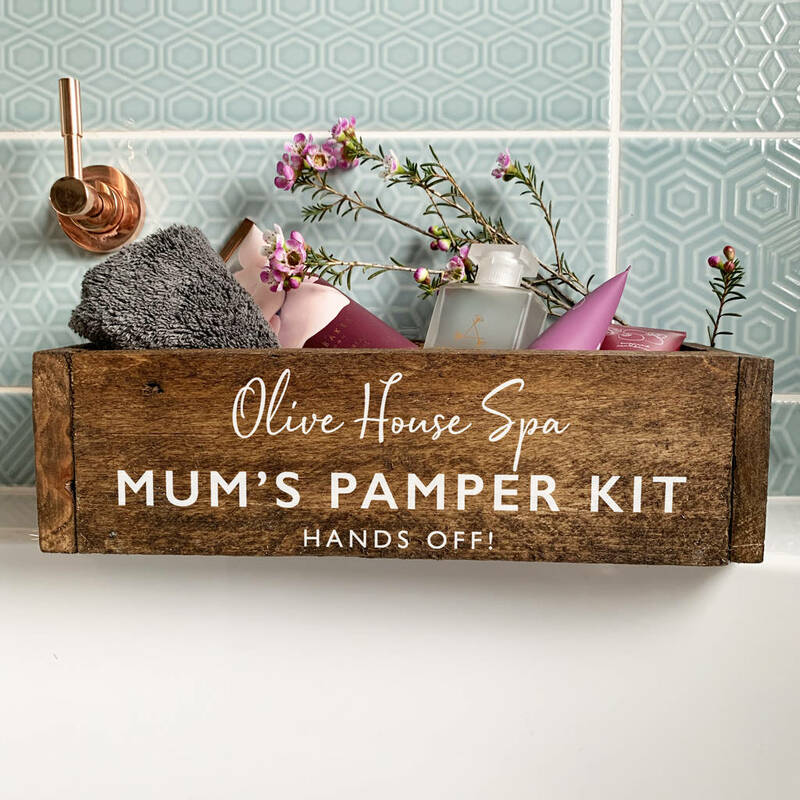 A handmade bathroom storage tidy, personalised with your words. A birthday gift idea for storing Mum's pamper goodies or makeup favourites. Imagine her face when you present her with this gorgeous personalised bathroom tidy that you have filled with her spa favourites creating a beautiful pamper kit. 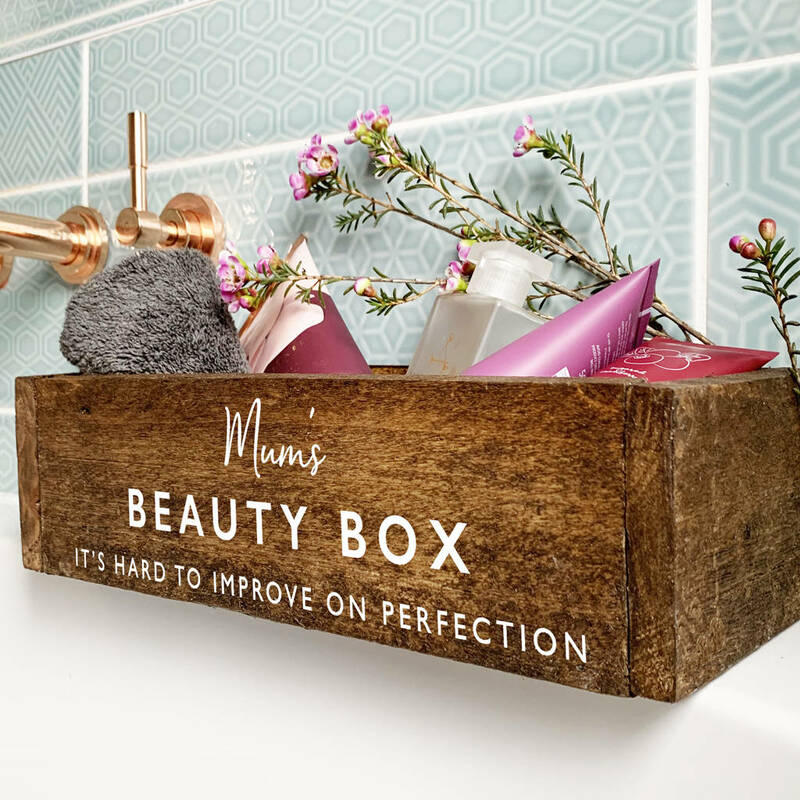 The box looks delightful sat at the end of the bath or on a shelf in the bathroom. Made from waxed reclaimed wood, the box has an authentic aged appearance and is personalised with your words making it unique. 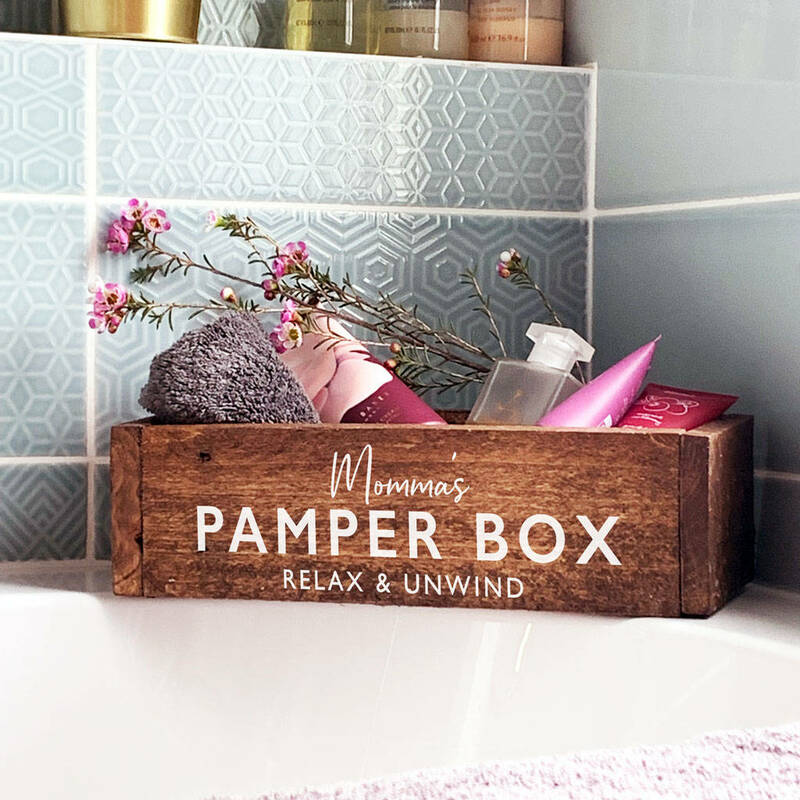 The bathroom tidy is empty for Mum to fill with her bathtime favourites, or for you to fill with treats and goodies for Mum. Alternatively Mum can use this bathroom tidy to hold makeup or toiletries. Will also look delightful on the window sill filled with succulents or ferns. Use your imagination to create a personalised gift that Mum will love. Made from rustic reclaimed wood with a dark waxed finish. Each box is made in our workshop and personalised with your own words. Reclaimed wood. Not watertight so if filling with plants please use pots or line the inside with polythene.